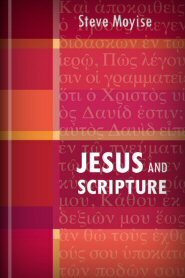 Every month Logos Bible Software gives away a free book, and the book for April is Jesus and Scripture by Steve Moyise. This Logos eBook is available through the end of the month, 4/30. Logos Bible Software is world-class software that greatly enhances Bible study. For a glimpse into how their program works and its benefits, see our page here at eChristianResources about our exclusive partnership with Logos Bible Software where you can save 15% off one of their base packages!